In response to a question posed on Twitter, HTC announced that the HTC One Mini 2 will not be updated to Android 5.0. 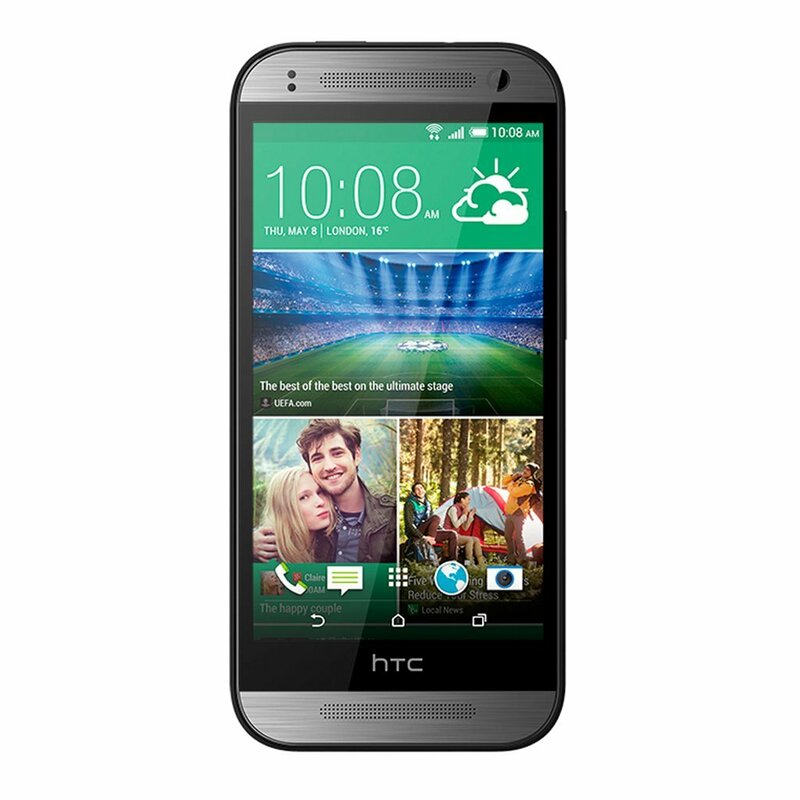 The phone is barely a year old and is sold under the One brand that HTC reserves for its flagship devices. 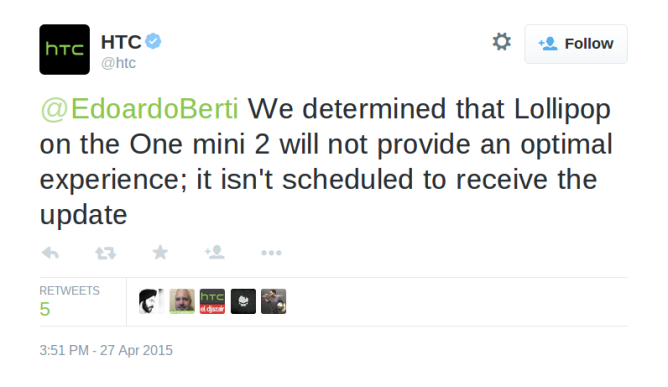 As you may recall, HTC made a promise to customers just last year that devices launched under the One brand would receive updates for a minimum of two years. The reason given for breaking this promise is rather unbelievable. If devices like these recently announced LG mid-range handsets can run Lollipop just fine, then I see no reason why the One Mini 2 with similar specs (though a little older components) would be incapable of running the latest Android software. HTC's latest advertising might not have offended you, but misleading customers is a move that has certainly angered a lot of HTC owners. 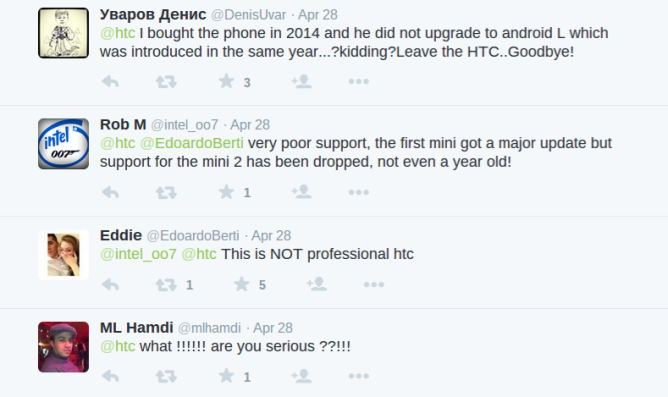 Those of you who are the disappointed owners of an HTC One Mini 2 can perhaps find a bit of hope in the fact that the Taiwanese smartphone manufacturer does have a history of backtracking after pulling similar stunts. The HTC one Mini 2 is also supported by CyanogenMod and currently running CM12 (Android 5.0), for those who prefer to update manually. We will let you know here if the decision is reversed.